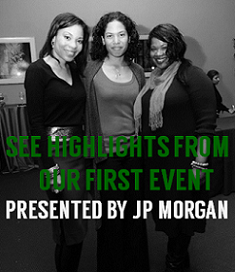 NEW YORK, NY – Evidence, A Dance Company will host its 8th Annual Gala on Monday, February 13, 2012 at New York's Manhattan Center to support the dance company's mission to promote understanding of the African Diaspora through dance and storytelling and to provide sensory connections to history and tradition through music, movement and spoken word. 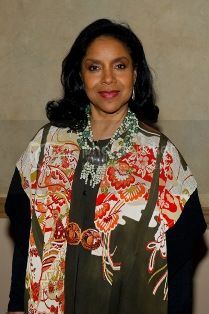 Actress Phylicia Rashad will serve as the Honorary Chair, with co-chairs Monica F. Azare and Larry Satterfield. The Honorary Committee includes actress Lynn Whitfield; former ESSENCE editor-in-chief Susan L. Taylor and writer Khephra Burns; actress Tamara Tunie and jazz vocalist Gregory Generet; leading U.S. financiers Reginald Van Lee and Pamela J. Joyner; and WCBS-TV news anchor Maurice DuBois and Andrea DuBois. The Gala will present Evidence's first ever performance of Gatekeepers, a powerful modern dance work that explores the theme of service and intergenerational care giving. Choreographed by Founder and Artistic Director Ronald K. Brown, this work blends Native American myth and African traditions to artistically convey bridging the gap between young people and elders in the community, and the fundamental for both groups to serve each other as caregivers. “Evidence is thrilled to present Gatekeepers at our annual benefit gala,” said Brown. “This majestic new work will capture the audience with its passionate message on the continuity of caregiving among youth and the elderly to strengthen communities and teach respect and collective responsibility.” An internationally-acclaimed choreographer who has also choreographed works for Alvin Ailey, Brown choreographed Gershwin’s masterpiece Porgy and Bess, which opens on Broadway in January 2012. 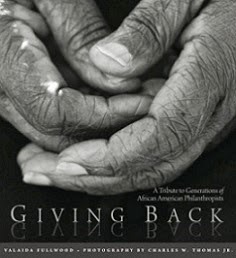 All proceeds will benefit Evidence's outreach programs, including the Gatekeeper Project, which through unique performances and outreach activities in communities across the U.S., aims to teach young people responsibility and respect for their elders, and help them better understand the meaning of community service. The dance company will perform to electrifying music by longtime collaborator and costume designer Wunmi. For tickets to the gala performance and dinner, please visit HERE, call The JFM Group at 914-235-1490 x16 or email evidence@thejfmgroup.com for more information. Individual tickets begin at $1000, table packages begin at $10,000. For more information on Evidence, A Dance Company, please visit http://www.evidencedance.com/.